HomeHeadphone ComparisonsSennheiser HD 800 vs HD 650 | THE DIFFERENCE? Sennheiser HD 800 vs HD 650 | THE DIFFERENCE? Hey there friend and Welcome! Today I will be comin’ at you hard, with a rock solid post about two highly regarded audiophile type headphones in my Sennheiser HD 800 vs. HD 650 review! Before we get started, grab a snack, sit back and relax because..
impedance: 300 Ohm. What is Headphone Impedance? These are some of the most highly regarded headphones in existence today, and are almost an overall perfect set. They are meant to reproduce the sound you hear at it’s most natural state, and therefore can be called the most honest, and neutral pair available on the market. If you value an even sound across the entire frequency spectrum, and appreciate things like sound-stage, neutrality, detail, honesty, and comfort, then this may be the headphone for you. One concern that I’ve found to be quite common in my research is that this headphone may become boring to some. It’s almost too much of a good thing, and can be exhausting and fatiguing after awhile. One of the main concerns is that they may sound a bit too bright for some peoples taste, even bordering on sibilant sounding. It isn’t a perfect headphone by any stretch, but still maintains an A rating across the board despite some shortcomings (Outlined in “Cons”). That said, The HD 800 excels with nearly everything that makes a listening experience great. It boasts a wide and amazing sound-stage, with depth and width being the standouts here. The height doesn’t quite measure up, but for classical music in particular these really excel in startling ways. The mid-range is also exceptional, and instruments such as Pianos, acoustic guitars, trumpets etc. all sound about as uncolored as it gets. Phenomenal mid-range. Perhaps it’s bread and butter. unlike anything you’ve ever heard, the thrill of music returns with these. may be a bit too clinical for some. The sound may become fatiguing, or dare I say “boring”, and lack personality. Amp requirements are pretty hefty. These are very picky about which amp you choose. More on that in a jiffy! reveals all flaws, so be aware of your sound source. The HD 800 can be rather unforgiving of poorly mastered songs in general. no going back to other headphones once you hear these. Is that a con? Depends on who you ask I suppose. Also check out: The best headphone amp for the Sennheiser HD800! Does very well with classical, acoustic, jazz, and well recorded music. A headphone that is as faithful and accurate to the original recording as anything else in existence. Great sound-stage, use of silence and clarity, as well as a very durable and comfortable phone overall. May be a bit too bright in the high end, and generally boring and clinical for some. All flaws are revealed when you put these on! These are some of the most accurate and well respected headphones on the planet. They are a little warmer, lusher, and thicker than their younger brother, the HD 600. They are also a bit more refined. They are also a little less neutral and more enjoyable to listen with. As an open back model, these will leak sound so be weary of that and know that they perform best in an isolated studio environment, absent any extraneous noise and distraction. Another thing to note is the impedance level. At 300 Ohms, these will need an adequate amplifier to reach their full potential. More on amps a bit later!! They take a bit of burn in time to really get acclimated, so prepare to really be impressed after around the 50 hour mark. Things start to open up considerably and everything kind of settles in. The sound becomes focused and tightly in place, which results in a very clean overall signature. great body, warmth, and smoothness. nice sound-stage and imaging. You are able to place where the musicians are on stage, and being an open backed can, the sound won’t get trapped in your head and leave you fatigued. a forward and engaging mid-range. helps with the presentation of the male voice. tight and authoritative bass response. less neutral than the HD 600. The bass, rather than being bloated and loud, is accurate and precise. You will be able to hear the tone of a kick drum as well as different textures in frequency. An important thing to remember is to make sure your sound source is of good quality. These will reveal flaws in haphazard mix downs and masters. not too picky about which amp you choose to pair with it. Sounds pretty fantastic with most amps. very versatile in terms of genre, handling a wide range of musical styles. Rock music is it’s strongest suit. comfort. those velour ear pads make it so you can wear these for hours and not get fatigued. replaceable parts, which ensures longevity out of your purchase. too smooth. Like Fonzie except not, these headphones are so chill that they may make you fall asleep! treble is lacking a bit. This is the “veiled” sound that people talk about in regards to Sennheiser headphones. Somewhat lacking in air and harmonic content. What is the Sennheiser Veil? HD 600. Many people prefer the more neutral HD 600 over the laid back sound signature of the HD 650. Others like the fact that the 650’s bass has a little more impact and weight behind it. It’s bread and butter is most definitely for Rock music. This is in part due to the mid-range as well as the bass not drowning out other frequencies. The treble also has a lot to do with it. Since 2003, It’s been one of the most beautiful sounding headphones around. It’s extremely accurate, has a really great mid-range, accurate bass, and is very comfortable over a long period of time. It’s treble is lacking a bit in the upper registers, and it has been criticized for being a bit too smooth, almost lulling you to sleep..
What you are getting with these is a brand new music collection. Why? Because they revolutionize everything you own, plus the music you haven’t heard. It’s like hearing all of your old favorites for the first time again. You will start to notice things in music that you never knew were there. This is one of the best things about higher end headphones. They make you realize what you were missing! They are both open back and leak sound. Both are meant to be listened with in an isolated studio environment. Price. The HD 800’s are considerably more expensive than the 600’s. Sound. The HD800’s are about as neutral as it gets. They have been called the “neutrality king” actually, and deliver sound at it’s most natural state. The 650’s by contrast are a bit warmer, lusher, and function as a more “fun” sounding headphone. They are definitely more colored than the 800. That said, both can be used for mixing to fine effect. Material. A big difference between the HD 650 and the HD800’s to note is the material. The 650’s are made of mostly plastic (albeit strong & sturdy), while the 800’s have components made of stainless steel, alcantara, and teflon. Both however have velour ear padding. Detail. Both allow you to hear detail previously unheard in recordings, but the HD 800 improves on that immensely. The 650’s lack some detail that the 800’s have in spades. Sibilant. Sometimes the 800’s are so honest, that they become harsh/sibilant, and dare I say “boring”. I’ve read quite a few different audiophiles around the net claiming that the 800’s lack personality, and aren’t particularly exciting or fun to listen with. The 650’s by contrast are the complete opposite in this regard, and come across as warmer and friendlier. They cater to a more casual demographic. People who really want to enjoy themselves while listening to music. Sound-stage. With classical tracks, the 800’s really shine due to the clarity of the different strings and woodwinds. They also have a slightly wider and more pronounced sound stage than the 650’s. The separation between the instruments is greater, therefore providing more clarity. Comfort. As far as comfort, both are extremely comfortable, but the 800’s look and feel more comfy in your hands rather than on your head. The 650’s feel amazingly comfy on your melon, and it has been said that the clamping force is a bit tight at first. As time goes on they really settle in. Amplification. The HD 800 is extremely picky about which amp sounds best. The 650 is not. Genre. The 800’s bread and butter in terms of genre is Jazz and Classical overall. The 650 is at it’s best with Rock. If you need the absolute best in terms of neutrality, and won’t settle for anything less, then the HD 800’s are most definitely for you. Just be aware that if you plan on taking the plunge, a suitable amp is of the utmost importance. Being arguably the most amp finicky headphone, the difference between a proper solution and a sub-par one is like night and day. It could make the 800 sound either truly amazing or downright awful. SEE THE HD 800 ON AMAZON FOR YOURSELF!! If you still value an honest reproduction of sound, but prefer your listening experience to be an enjoyable one, then go with the HD 650. It is warmer, lusher, and the more colored out of the two. It gives you immediate satisfaction rather than a sound you may labor over, but still greatly excels in so many areas. It’s also pretty versatile in terms of musical genre and studio reference application. Are the HD 800’s a bit out of your price range? Do you still need the absolute best mixing/reference headphone in it’s class or otherwise? Check out the gold standard in Price to Performance ratio in my ..
Well that’s about it for today my friend. I hope you’ve enjoyed my comparison review of the Sennheiser HD 800 vs. HD 650! Which of these are you more likely to purchase? Convinced that the HD 600 is the best in price to performance ratio? Let me know!! If you have any further specific questions, or need me to clear something up, I would be glad to help. Please don’t hesitate to leave a comment below or Contact me! Bose AE2 vs AE2i | ONE DIFFERENCE! Oppo PM3 vs. Sennheiser Momentum | DIFFERENT SOUND! Sennheiser HD600 vs. HD800 | COOL AS THE OTHER SIDE OF THE PILLOW? I really like this review. Up until now, I’ve never heard of these headphones. I love the way you talk about hearing the music in its natural state. I also love the way you talk about neutrality. I completely agree that we all want to hear the sound the way it’s meant to be heard. Comfort is definitely a deal-breaker for me as well. No matter what kind of headphones we have, we want to make sure we’re comfortable. Awesome post. Very informative. Keep up the good work! You made me really miss my HD 650s with your post. I absolutely LOVED those headphones. My ATH-AD700s come close but a LOT of the time I wish I still had my HD 650s. What happened to them is a long story but your review definitely brought back memories. I like what you said about neutrality. Most people just don’t get it when you talk about sennheiser because they have never heard of them and they wonder why anyone would ever spend that amount of money on headphones. I just smile and politely change the topic. Hey David!! Have you tried the HD 600’s as well? I’ve heard that they are better overall for mixing, while the HD 650’s deliver a better listening experience overall.. meaning that the sound is somewhat colored. I’m thinking about getting a pair of HD600’s. Let me know what you think! Are either of these noise cancelling as well? My husband has been wanting some that are good because he’s been very disappointed in the past. While we works out in his studio he unfortunately can hear the kids crying because our walls aren’t sound proof, but turning up the stereo of course doesn’t help. What is the cost different with these two? No, as stated in the article, these are both open backed headphones made for studio applications (mixing/mastering). If your husband a good closed back model, (sound isolation), check out the Audio Technica ATH M50! While not specifically noise cancelling, they exhibit similar characteristics. I cannot hear things going on around me while I’m wearing them.. and they are an amazing set of headphones.. I’ve had ’em for 2 1/2 years now!! Honestly, I know nothing about the stuff you are talking about here because it’s not my thing (I guess this is guys thing) 🙂 , but I know someone in my office who would be interested to read your content. I saw him browsing the internet for this kind of stuff you are talking about 🙂 I surely will recommend your website for him to check it out. WOW, They sound great but come at a price, like someone else that commented I was after a good quality everyday pair of headphones, so am going to checkout your review on the Audio Technica ATH M50. I was actually reading an article the other day comparing 59 different types of headphones! The guy who did the review owned every single one of them.. and one was the HD 800. He gave it an A or A- in terms of value. To him it was worth the investment. But my point is that you’re right. There’s no reason to spend that kind of money if you aren’t in the market for that caliber of headphone. The results it produces are second to none. It is quite possibly the flattest, most neutral and honest sounding headphone in existence. The downside? Those qualities cause it to be a bit “boring” according to many. It’s almost TOO analytical. I love a great mixing headphone as much as the next guy, and by all accounts the HD800 does sound incredible, but I’m leaning towards the HD600 as my next purchase. It’s identical to the 650 except it’s a bit more neutral. As far as the M50’s? Great entry level audiophile cans. Had mine for 2 1/2 years!! Anywho..
Great article on the best headphones. I have sennheiser at home and while I use them for music, they are also great to plug into the TV when my wife doesn’t want to hear the sports commentary. Yes, I know, that sounds really heathen, using these for football watching, but they are great cans. Comfort plus, value for money and great sound reproduction is how I would rate them. What kind of Sennheisers specifically do you have? I am really considering the 650s for my next purchase. The 800’s are a littleeeee out of my price range at the moment, but they do make my mouth water quite a bit! I love the fact that they are so neutral..
Anywho, thanks for stopping by and I hope to hear from you again! I agree! I’m really looking into a pair of HD650’ss for my next big purchase! The AKG models have gotten a lot of praise over the years as well.. Thanks for stopping by! Thanks for the feedback Shawn! One day when I have the funds I am going to purchase a pair of HD 800’s as they are some of the most neutral and honest cans in existence..
Also, I was actually going to revise and edit this post as it is one of my more popular ones. I’m glad the site has affected you enough to want to make changes to your own! Hey Stu, I think good quality headphones are something that a lot of home studio engineers miss the mark on. I loved your review of both of these offerings. It sounds to me like the HD800s would be better suited for an experienced engineer who really wants and needs to hear all of the nuances during tracking and mix down. But it sounds like the HD650 is a good all around headphone that will suit the needs of most home or amateur engineers. Is that a fair assessment? Sure is a fair assessment Christian! I have been long considering the HD 650’s. Right now the 800’s are well out of my price range, but one day I would like to experience them. As for the 650’s, they are a great all around headphone. They can handle mixing, as well as easy listening and have a nice tight bass response. You are also able to hear a lot of subtleties and nuances as well, but it doesn’t get fatiguing or “boring” as some have pointed out happens with the 800’s. Thanks for stopping by! Hope you come back soon.. I was looking for a good headphone for a while. I think the HD 800 is the one that’s most suitable for me. I just love to hear every little detail while listening, and I know that Sennheiser is one of the most cutting edge headphone producers in the industry. I will definitely be satisfied with anything I get from them. These are a bit pricey of course.. I feel the same way. I’ve always loved being able to re-discover new music by hearing everything I missed in a song or album. It really does make you realize how different a good set of headphones sounds.. The thing that I do not like is that it is not a static page as I hate having to keep scrolling down but that Is just me. The Testimonials are a great idea and I love to read what people are saying about their experience with you! Thanks Paul! You bring up some very valid points about my site. I am currently trying to figure out a way to improve the load times. I use quite a few widgets, and they are all really important to the site. I’m wondering how I can remedy the issue. I have also been mulling over whether or not to add a static front page with blog roll included. Thank you for the valuable feedback! I found this review pretty spot on. I take issue with the 650 not being amp picky. Mine was. I paired it with a Bottlehead Crack with Speedball, Sennheiser HDVA 600, SPL Phonitor 2 and finally the Violectric V281 headphone amps. The Crack did it no good. All the others improved its sound by lifting that infamous veil, widening the sound stage, and tightening the bass. But it wasn’t until I paired it with the Violectric that I found musical bliss. It did all the above to a slightly higher degree plus increased its clarity (accurate placement and separation of instruments & voices in space) and increased timbre (the quality of a musical note or tone that distinguishes different types of sound such as voices and musical instruments, string instruments, wind instruments, and percussion from each other especially when two different instruments play the same note at once). I own both headphones and find the 800’s best with classical, jazz and acoustic music but don’t limit them to just these genres. I mostly use the 650’s with all other types of music but they cross genres too. If the 800’s are a bit soft on bass, I grab the 650’s. But surprisingly the 800’s bass (when it’s loud enough) is VERY good. Thanks for this comparison. I’m sure it answered a lot of questions for those unable to hear these 2 great headphones in person. Very interesting indeed. Tyll from Inner Fidelity really likes the Bottlehead Crack for the HD 600. Since the 650 is very similar, it should also do well. Thanks for the info though. Just goes to show that not everyone’s experiences are the exact same. Have you used the Vioelectric V200? I heard that was a great amp with the K701’s, as they are really amp picky. Funny you mention that “veil”. For awhile I was skeptical, but it seems to be the consensus on some of these reference model Sennheisers. To you is it a bad thing? Most people say it isn’t because of the sheer fact that it makes the treble a lot smoother and not prone to sibilance. What does sibilant mean? A lot of people take issue with the Beyerdynamic DT 880’s because of the sometimes shrill, harsh high end. This is why I recommend the 600’s over them for mixing/reference. Thanks for the clarification on Timbre as well. I plan to do a small article on that actually. What else would you recommend the 800’s for besides classical, jazz, and acoustic? Is there anything else that really stands out? Your welcome on the comparison! I really try to do as much research as possible. I tweaked this article a few times and packed some more info and clarity in it. Please stop back by anytime! I enjoyed reading this. I’ve had the 650’s for a couple of years now it’s it hard to imagine something better than these. But I think I’m ready for the 800’s and would like to experience those as well. 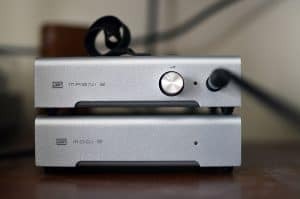 The 650’s really shine with my Marantz HD Dac-1, any idea if this dac would be sufficient with the 800’s as well? Thanks for stopping by! I am actually about to purchase a pair of HD 600’s for mixing/reference in studio. They are pretty similar to the 650’s except the 650 is a bit warmer and lusher, and also has more bass impact. Did you have a problem with the darker sound that some people complain about? It was called the Sennheiser veil, and basically means that the treble range lacks sparkle and comes across as absent of air and harmony. What is the Sennhesier veil? As for your question, I did a bit of research and found out that only 1 person said that the HD DAC-1 with the HD 800 was picky about source material. He said that great recordings and sources will sound fantastic with these, but if you happen to come across a bad one watch out. It’s pretty merciless in this regard. Basically the Marantz has a tendency to emphasize poor recordings even more when paired with the 800. However, 6 others say that it does in fact sound fantastic with the Marantz, and driven with ease, with a nice smooth sound that warms up the 800’s. The bad part is that sometimes the smoothness can result in lost detail. Not so in this case. It’s got a nice balance of musical and analytical sound. If you plan on purchasing the 800 anyway, I would say just try your amp out first and see for yourself how well it does! I’m sure you’ll be pleasantly surprised. Hope that helps man! Let me know if you have any other questions..